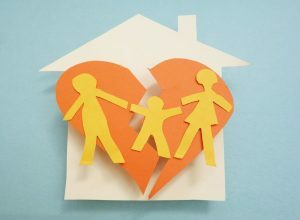 Divorce causes a great deal of stress on the family and is usually a disheartening experience for the children involved. Children will often be scared, frustrated or confused about their future with their parents. It’s important to address the emotional difficulty of divorce with your children. Here’s how to appropriately address your divorce with your children. Make as few changes as possible to your children’s routines. Try to keep the children in the same school even if you move to a new residence. Ensure the children keep in touch with their friends and continue with their regular extracurricular activities. It is important that you provide a stable environment for your child during such turbulent times as too much change at once can become overwhelming. As the children endure change in the home, it is important that they don’t have to outside the home. Although this is a painful time for you, this may be an equally painful and novel situation for your children. Be supportive to your children by lending an ear to listen and a shoulder to cry on. Be honest with your children and have open conversations. During such stressful times, your children may act out and blame you for the breakdown of the marriage. However, don’t let the breakdown of your marriage be the breakdown of your family. Be patient with your children and work as a team to get through these tough times together. Although you just had a falling out with your spouse, do not speak negatively of your ex to or around the children. Your conflict with your ex is just that – YOUR conflict. It is not appropriate to get your children involved with any negative sentiments you have towards your ex. Children are easily influenced and your feelings towards your ex should not influence your children’s views of the other parent. Just remember, at the end of the day you may be speaking ill of your children’s hero.